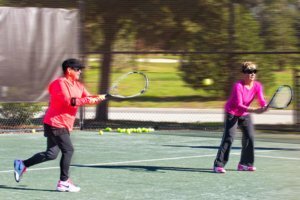 Residents of the amenity-filled Fernandina Beach new home community of Amelia National Golf and Country Club experience a vacation-type lifestyle each and every day. This truly magnificent golf course community embodies country club living at its best; from the Tom Fazio-designed, 18-hole golf course and championship-quality tennis courts to the luxurious fitness and clubhouse facilities. Enjoy lounging by the pool and superb dining at the club located within Amelia National’s guard-gated access. 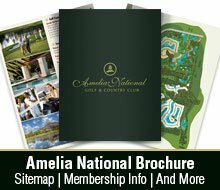 Amelia National Golf and Country Club is situated in Fernandina Beach, which is often termed the gateway to the enchantingly quaint Amelia Island. The entire experience of Amelia National is geared to those well acquainted with the world’s finest private country club destinations in Florida. A charming, French provincial clubhouse will welcome you with a relaxing atmosphere of quality and elegance. Steeped in the traditions of the world’s most renowned golf clubs, fine dining as well as the casual camaraderie of a 19th hole bar and grill will be accompanied by superlative service and fabulous views of the course and grounds. With private meeting rooms and convivial gathering areas the clubhouse has been planned to cater to your every need. Outdoors a sparkling pool complex set among lushly landscaped gardens will be a delightful place to gather with friends and neighbors. Amelia National Golf and Country Club features stunning, award winning floor plans from Fernandina Beach, Florida custom home builder, ICI Homes. 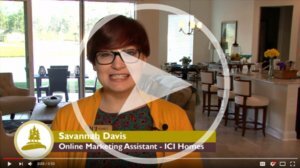 Offering modest single-family homes to palatial estate homes with lake and golf course views, ICI Homes has been at the forefront of the home building industry and is consistently ranked among the top 100 home builder in the country. 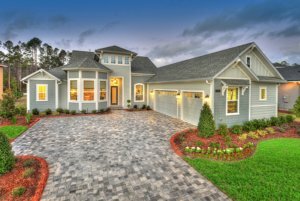 This is one of the best new home golf communities in Florida and one visit here will have you in love with the Florida golf community life style!